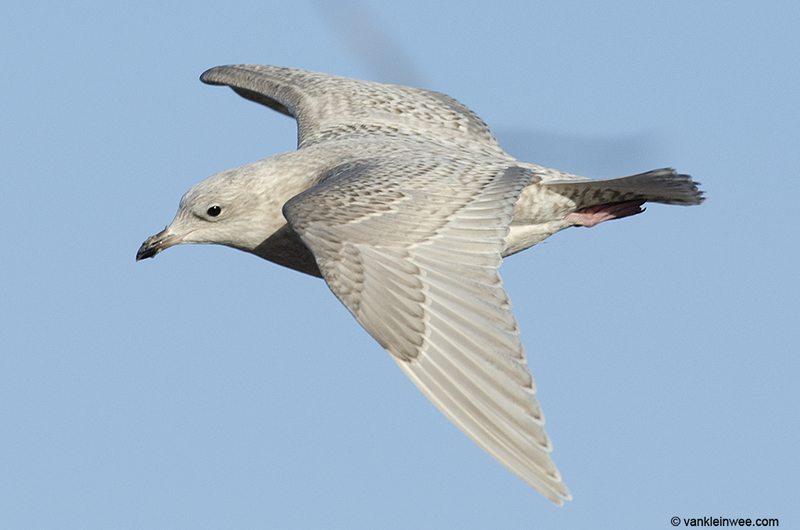 This first-calendar year Iceland Gull Larus Glaucoides showed itself beautifully this morning at the beach of IJmuiden while feeding on ensis among thousands of European Herring Gulls Larus argentatus. It is one of 2 individuals that have been observed here over the last couple of days, and shows dark markings on the outer primaries. It was a joy to be able to observe it from a range of only a few meters in perfect lighting conditions. 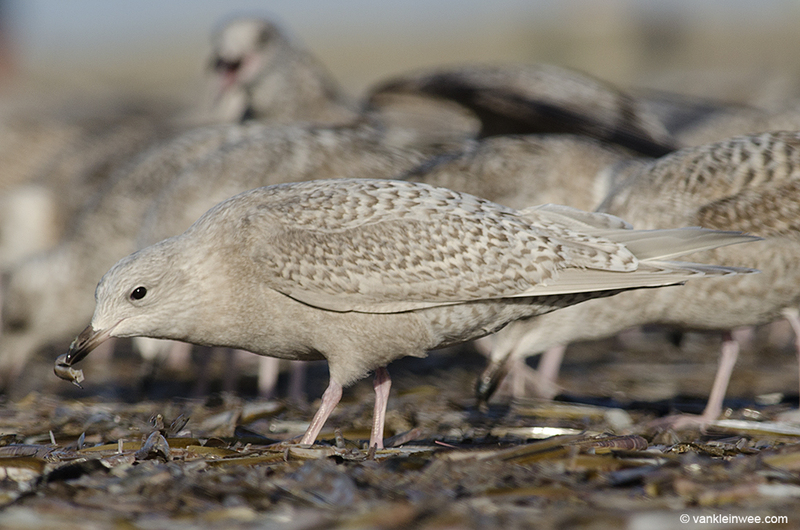 First-calendar year Iceland Gull feeding on ensis. 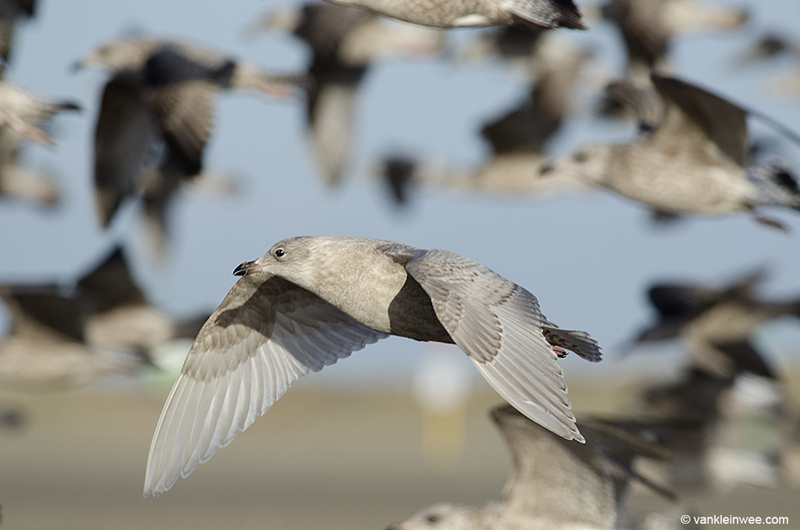 IJmuiden beach, The Netherlands, 29 December 2013. 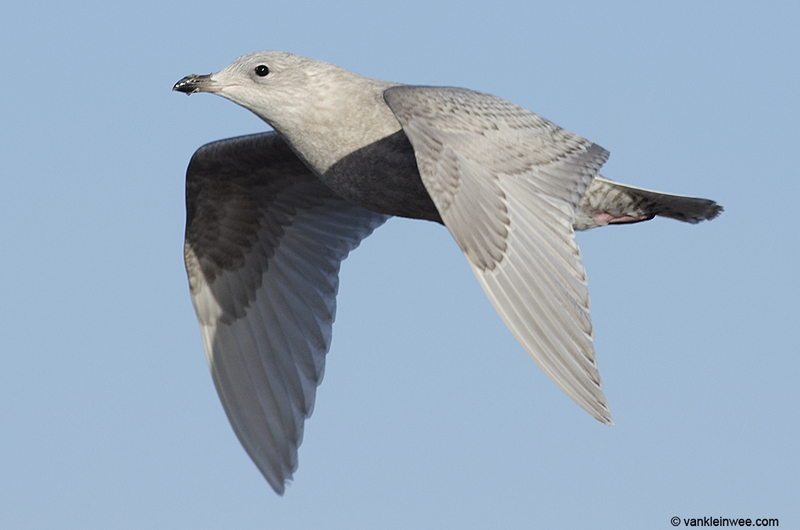 First-calendar year Iceland Gull. 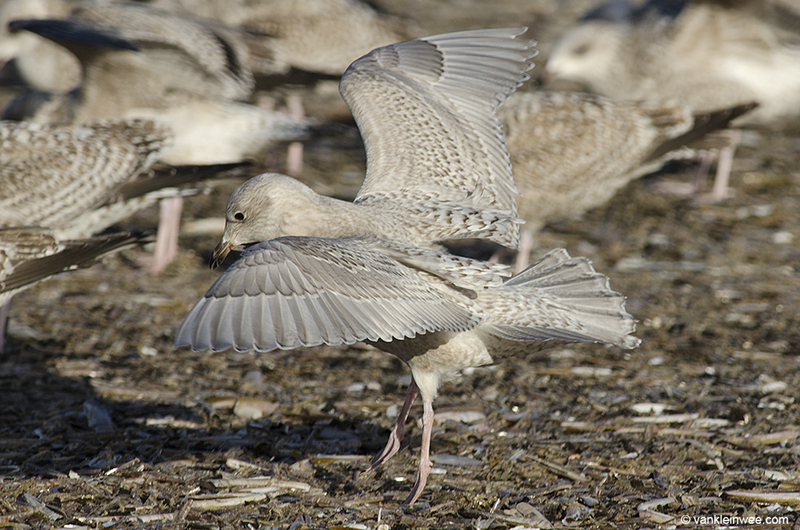 IJmuiden beach, The Netherlands, 29 December 2013. 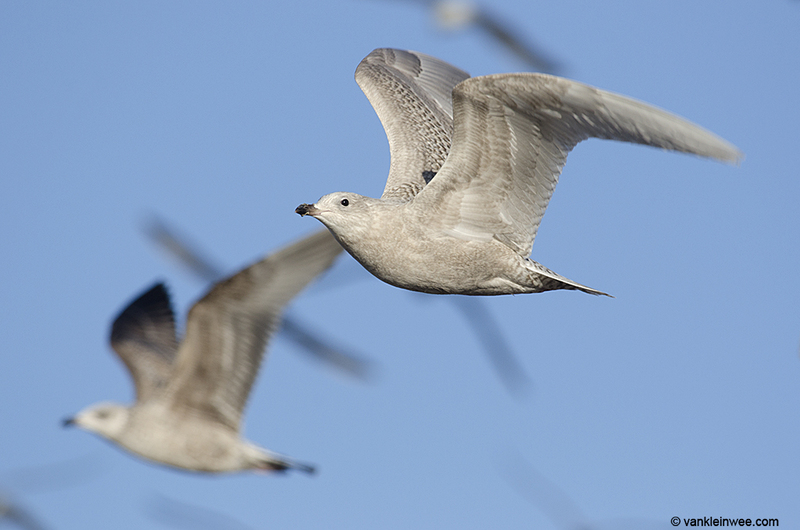 The next shots clearly show the differences in plumage characteristics compared to European Herring Gulls of the same age (first winter). 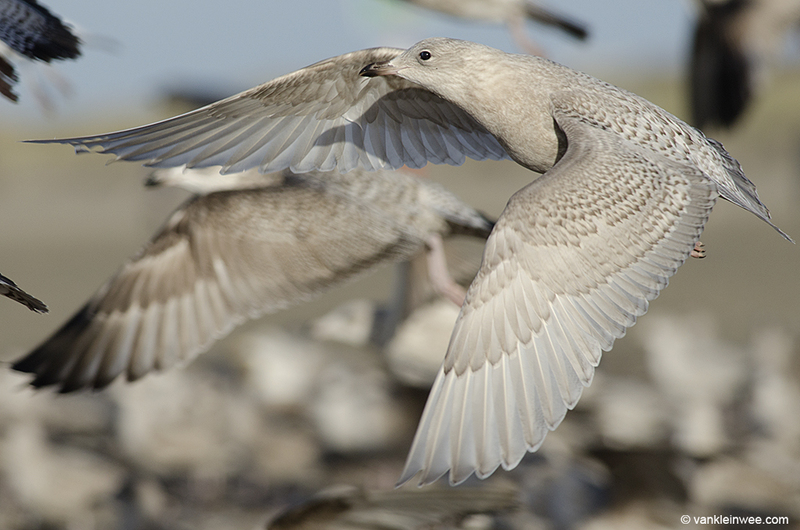 Note the overall paler appearance of the Iceland Gull and of course the light primaries. 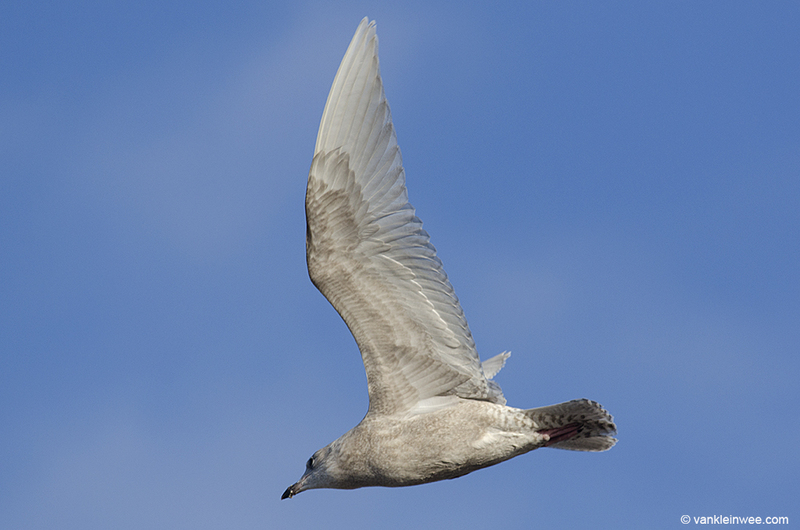 Despite these obvious differences though, the gull can be easily missed by the untrained eye. 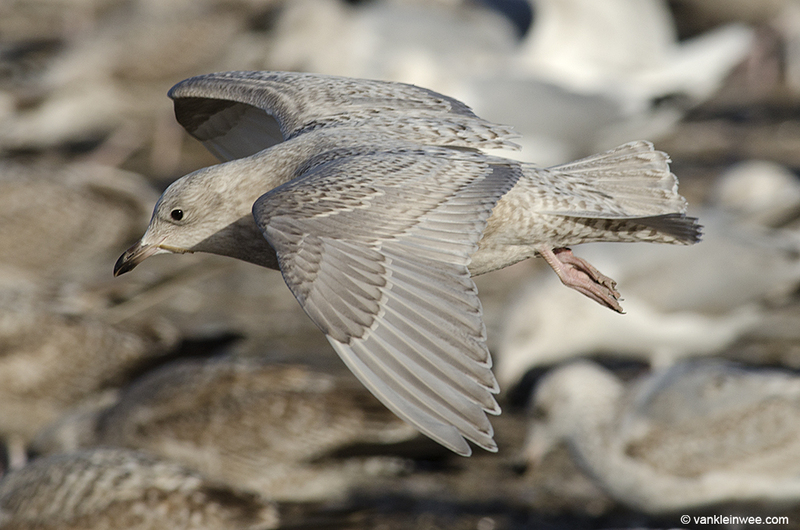 First-calendar year Iceland Gull (center, front) with first-calendar year European Herring Gulls in the back. 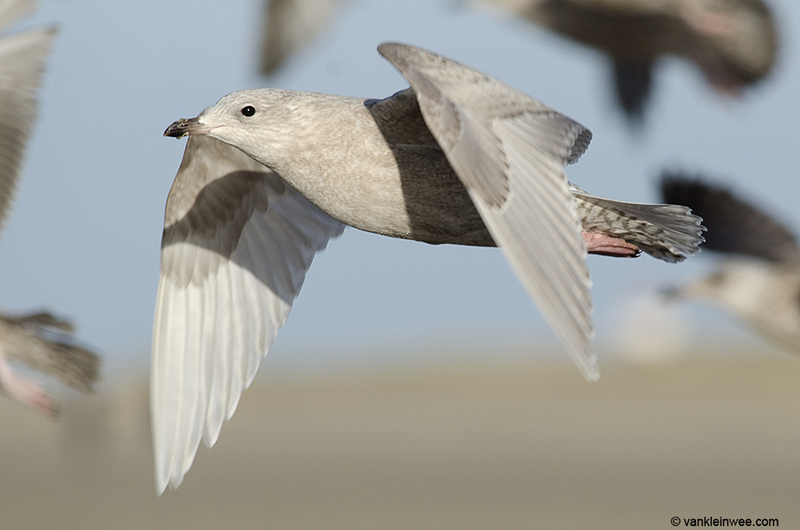 IJmuiden beach, The Netherlands, 29 December 2013. 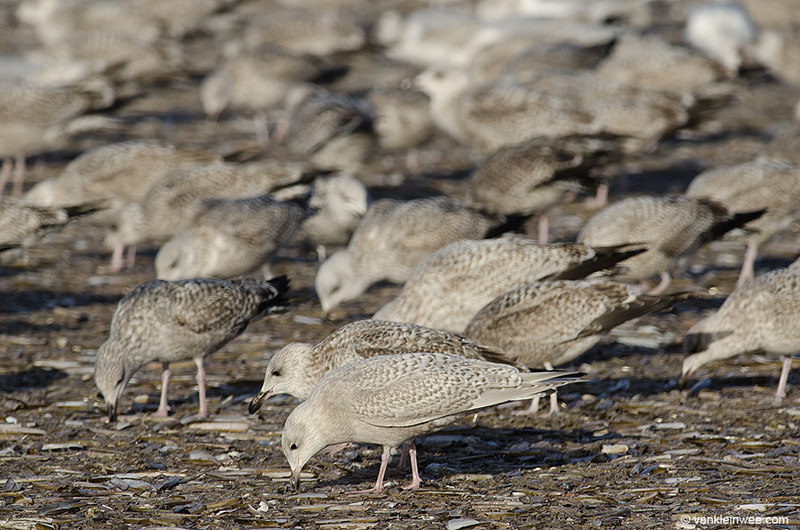 First-calendar year Iceland Gull (center, front) among first-calendar year European Herring Gulls. 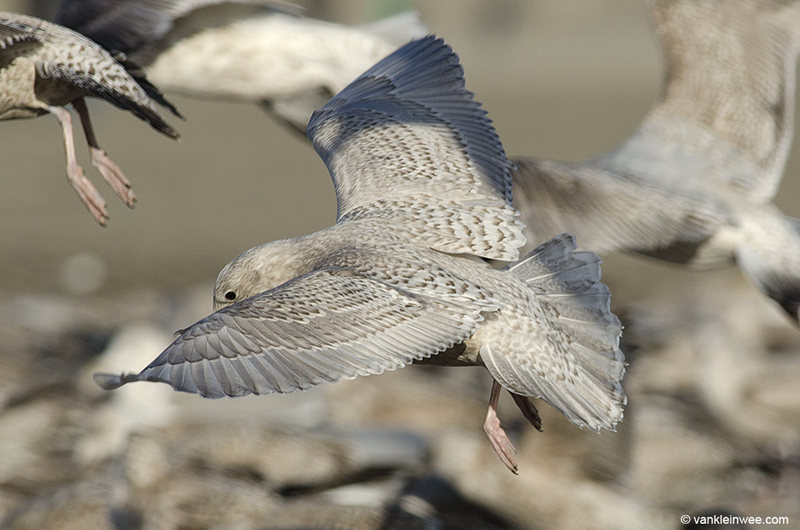 IJmuiden beach, The Netherlands, 29 December 2013. 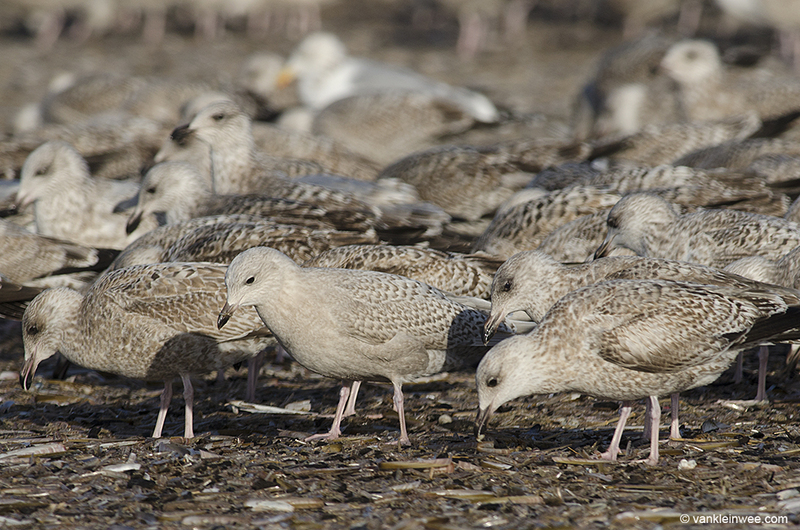 For the untrained eye, a first-calendar year Iceland Gull (center, front) can be easily missed among similar looking first-calendar year European Herring Gulls. IJmuiden beach, The Netherlands, 29 December 2013. 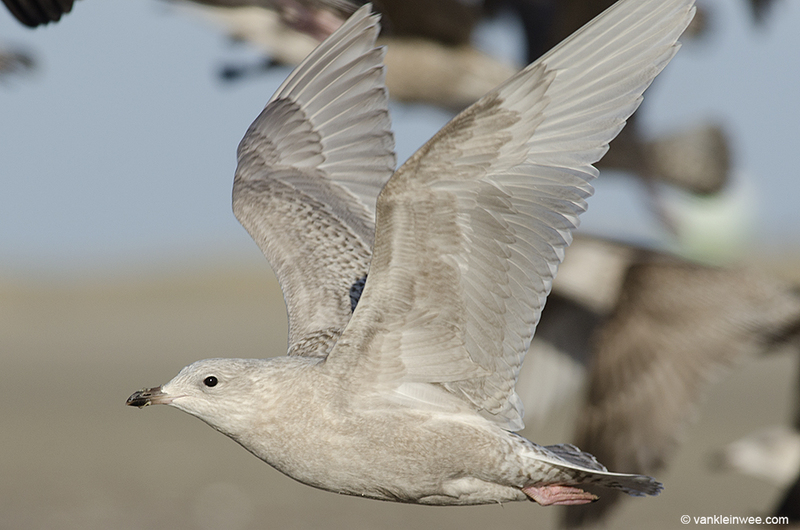 First-calendar year Iceland Gull (left) with first-calendar year European Herring Gull (right). 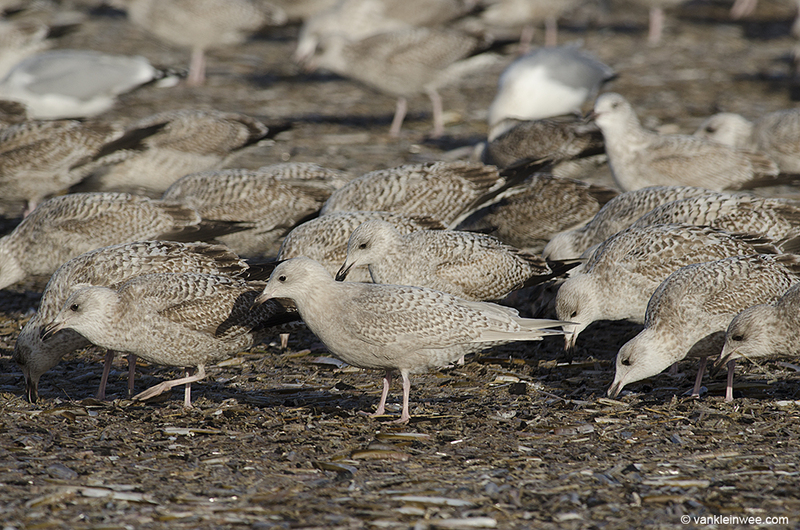 IJmuiden beach, The Netherlands, 29 December 2013.